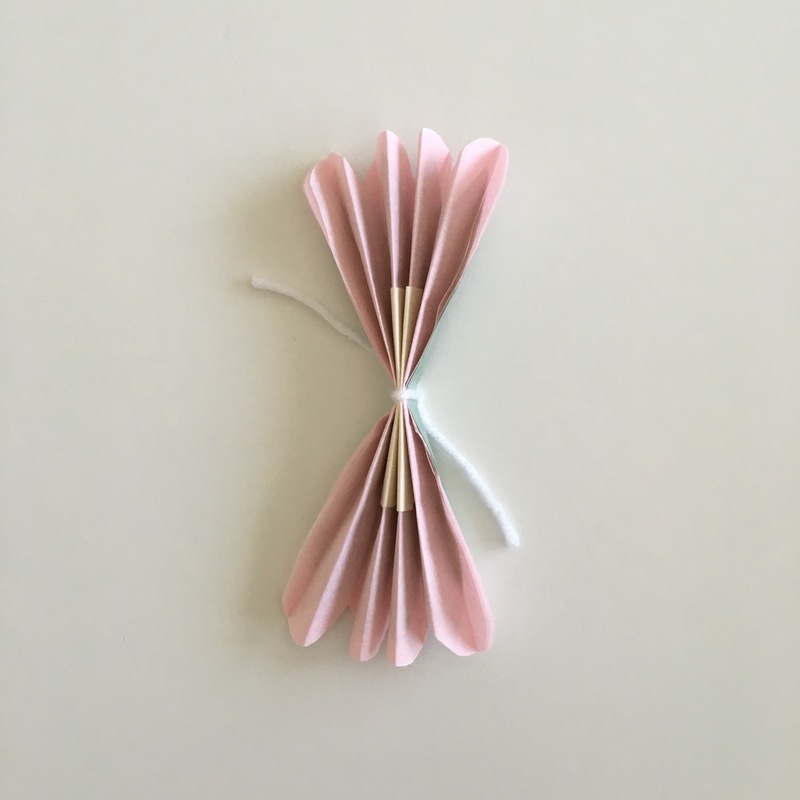 Before we start, I’d recommend for everyone to get acquainted with the paper flower tutorial I posted a while back. This tutorial is kind of a spark notes version of the garland featured in Olivia’s room. PS. It took me nearly 7 hours to make the garland in the photo. 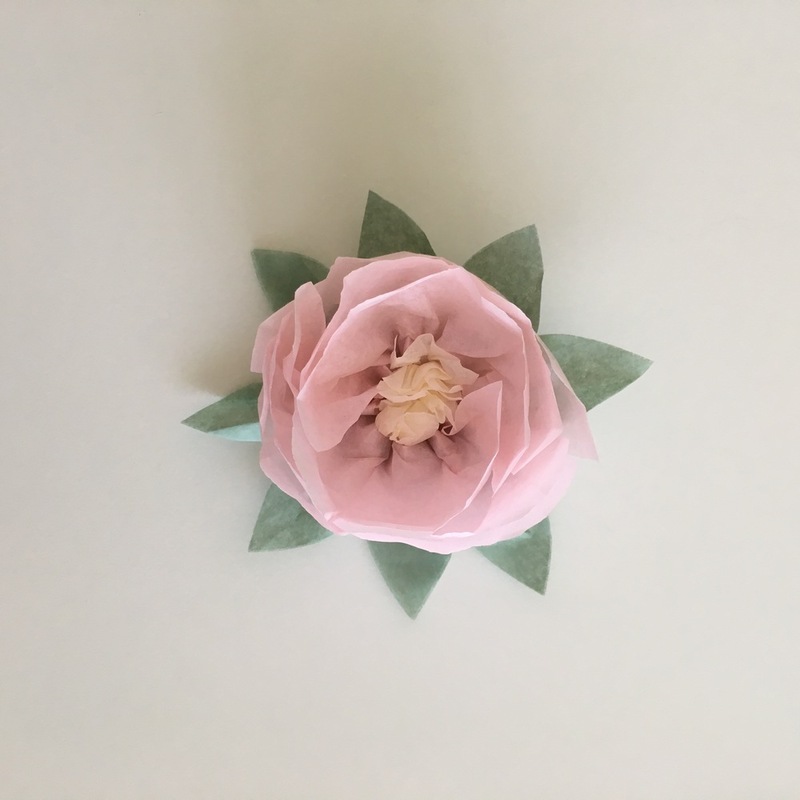 The main difference from this and my original paper flower tutorial is that I added a layer of green tissue paper to each paper flower bud. I use one or two layers of green tissue paper per flower. 1. 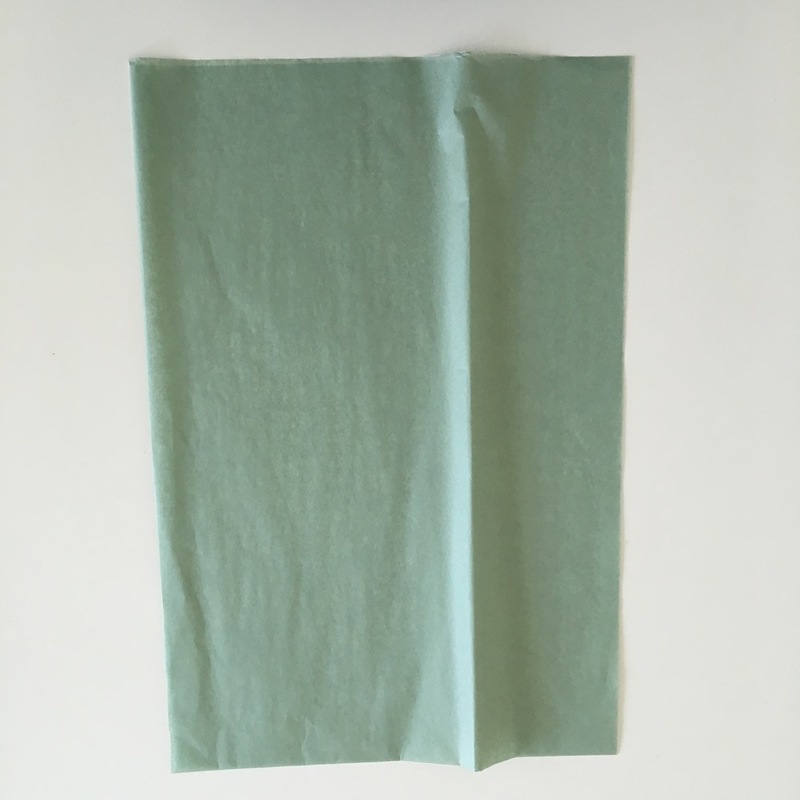 Cut the green tissue paper the same width as your paper flower (it’s okay if it’s a tad smaller too). 4. Cut the loose end into a curved triangle. 5. 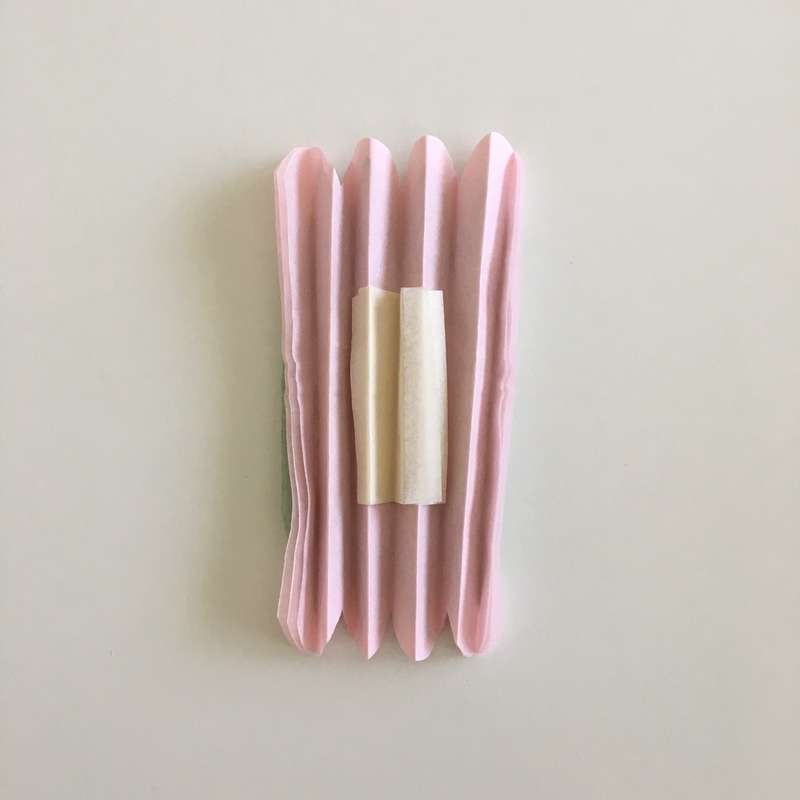 Open up the fold and layer it over your paper flower like a taco. 6. Continue the same process featured in the paper flower tutorial. However, with this garland, I use 4-8 layers of tissue paper per flower (not including the green leaf layer). 7. Once you are done fluffing up your paper flowers, turn it around. 8. 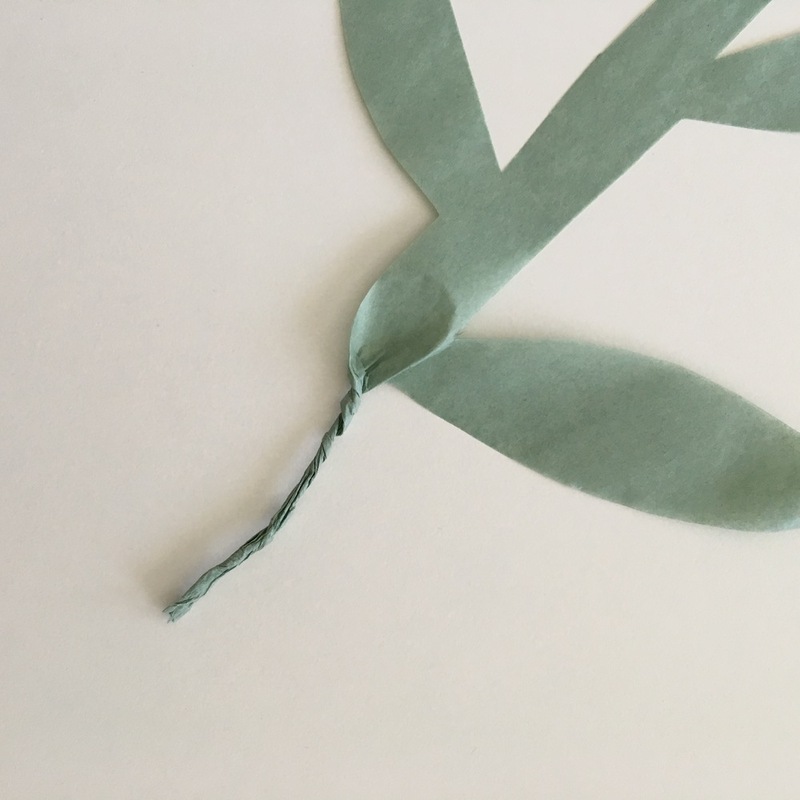 Holding the yarn knot, poke the floral wire through the opening between the knot and the paper flower. 9. Twist the floral wire to secure it. 1. With two layers of tissue paper, free hand cut an offset pattern for the leaves. I usually cut it in one go. I use two colors of green and cut one color larger than the other to give a nice layering effect. 3. 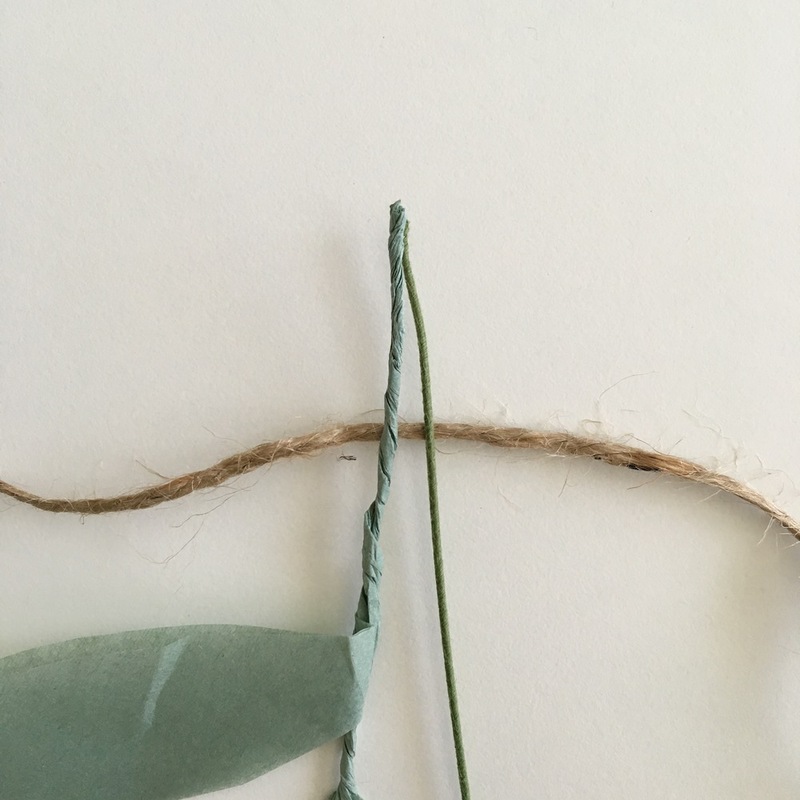 To secure the leaf stem and the floral wire, loop them together around the twine.